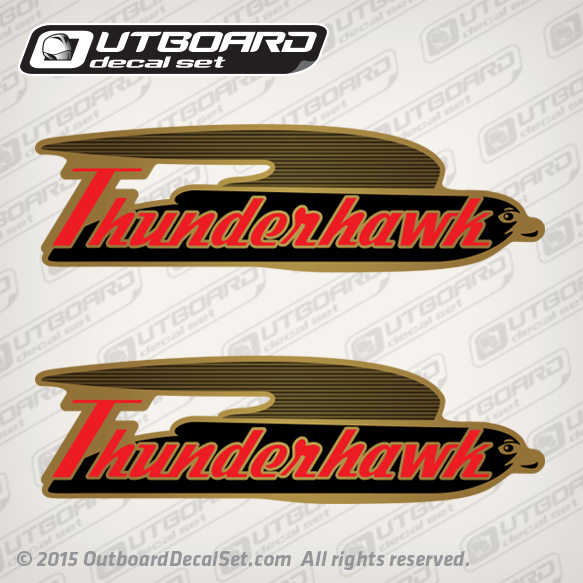 Larson Thunderhawk Bird decals sold by set for each side of your boat. Please choose out of our various color options. Price may vary in color. Size: 12" X 3.4" Inches Each.